Clyde, a village in Wayne County, is located within the Town of Galen, northeast of Geneva. The law firm of Michaels & Smolak has represented several Clyde residents in recent history, including a client who sustained severe burn injuries when inappropriate objects were burned in a fire, causing an explosion. 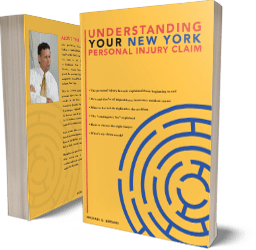 Most of the firm’s clients from Clyde and Wayne County are referred to the firm by local lawyers who know and appreciate the firm’s reputation for aggressive, but personable, representation of personal injury and medical malpractice victims. Another source of referrals to the firm is from former Wayne County medical malpractice and personal injury clients who were satisfied with the result Michaels & Smolak achieved for them. The firm encourages potential clients to call and have one of the firm’s lawyers grant a free consultation. This allows the firm to decide whether the case is one it wishes to handle. The firm handles only legitimate claims, not frivolous ones, and requires that the injury be significant or serious, not merely minor. After the free consultation, if the case is accepted, a lawyer will go to the client’s house to meet with him or her, or the client is also welcomed to the firm, at the client’s preference. The firm’s main office is in Auburn, New York. Directions to the Auburn office can be found HERE.